Pick out some really pretty embroidered bed linens, pillow and cushion covers from this 5-decade-old Kolkatav brand. Go that extra mile and make the most comfy part of your house – your bedroom – a beautiful work of art. And if you are looking for something truly unique, we suggest you hit up Rajeshwari, a home furnishings label that was launched in 1985. 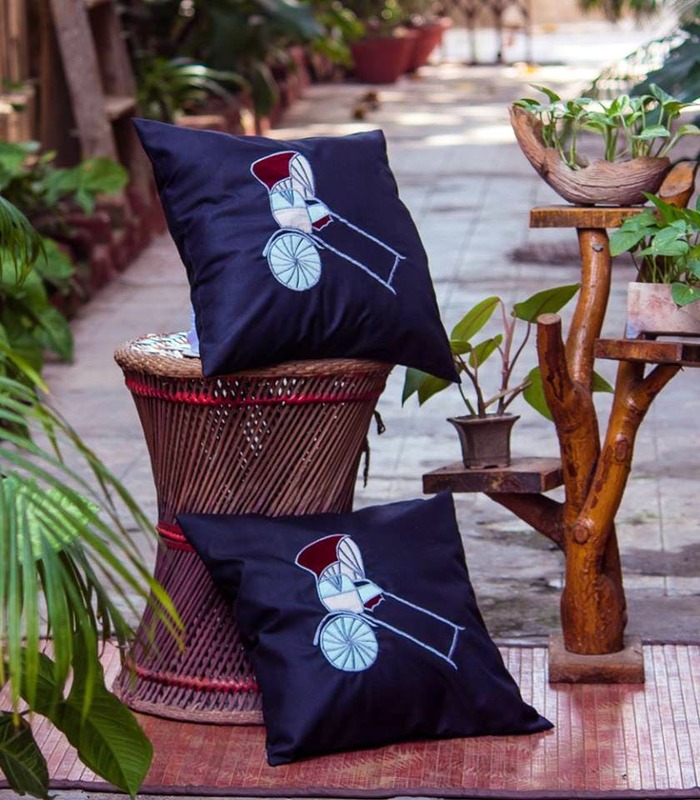 Run by Sujata Khaitan, it specialises in vintage designs on bed throws, pillows, cushions and such home linen. Think of pretty quilts and designs that’ll remind you of how your grandma used to do her bed, vintage-style floral embroideries and lace-woven throws. Everything here, starting from the embroideries to even the quilting, is all hanndmade and done by a kaarigar. They also follow ongoing trends. We especially loved the tie-and-dye set which has subtle lotus flower embroidery and the ones with a quirky rickshaw design – very Kolkata, colourful and adds the right amount of pizzazz to boring cushions. They also take orders, especially wedding orders. If you have specific design that you want to get done, they will customise it just for you. And the prices are pretty reason able starting from INR 2,800.